Do you often find yourself a little nervous to check the balance of your bank account? Do you wish that you had a bit of extra cash to take a spontaneous vacation or buy a car? If you find yourself in one of those situations, chances are you need to start saving money… but you probably don’t want to give up the luxuries you have today. 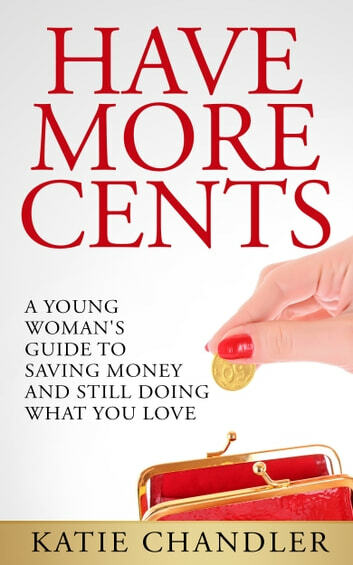 Inside "Have More Cents: A Young Woman’s Guide to Saving Money and Still Doing What You Love", we’ll show you exactly how you can live for less without cutting the fun out of your life (or the occasional, expensive handbag!). And, since technology is a part of life, included is a variety of mobile phone apps and websites that you can use to do all of the above, and more! Let this book be your guide to living a full life on a budget, while still having fun. 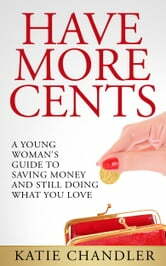 Pick up "Have More Cents: A Young Woman’s Guide to Saving Money and Still Doing What You Love", and start saving today!